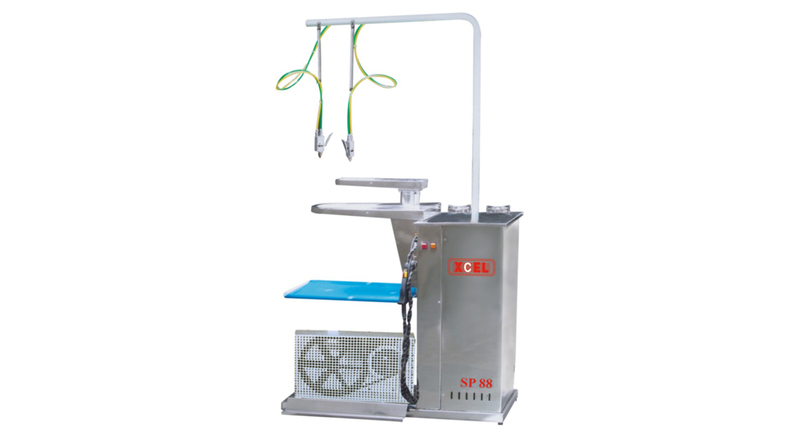 "Safe for delicate garments "
The most compact design of spotting machine for quick removal of water, oil based & hard stains. No yellow patches or wrinkles due to simulataneous removal of residual & immediate drying through compressed air gun. 02 Chemical Air Guns & 01 Steam Air Gun assembly. Steam required 8 kg / hr. 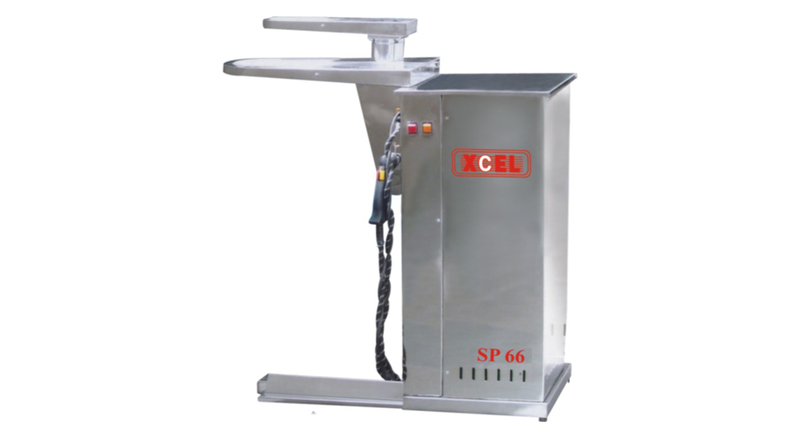 "WANT TO PURCHASE SPOT REMOVER STATION PLS CALL ME URGENTLY BASIS. "